I’ve been keeping my eye on the Santos Travelmaster touring bikes over the past decade, and am constantly surprised by how innovative they are within the industry. This small Dutch brand are constantly releasing new designs, parts and solutions to problems that are often left unaddressed by the bigger companies. I know it looks like it, but this is NOT in any way a sponsored article by Santos. I just really wanted to show you how Santos do things differently from the rest. 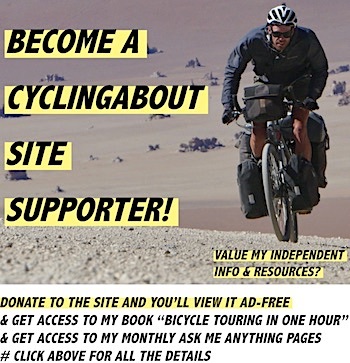 My hope is that this resource gives other touring bike manufacturers ideas about how they too can optimise a bike for a rider, as well as generally improve the overall design of the touring bike. Right, let’s take a closer look at how Santos do touring bikes. Santos Travelmaster with Pinion gearbox. In a lot of ways, Santos have been the driving force for innovation when it comes to gearbox systems and belt drivetrains. 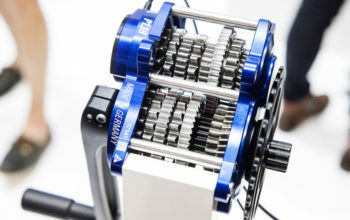 They were very early adopters of these rather unconventional, yet very maintenance-free drivetrain setups. 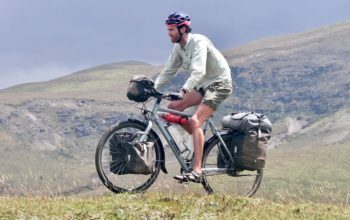 Don’t worry, all of the Santos models are available with standard derailleurs if you like – but these folk have completed hundreds of thousands of testing kilometres using all of the systems, and therefore can genuinely recommend them. I quite like touring with them too. To learn a bit more about the Pinion Gearbox click HERE. To read about the Rohloff click HERE. 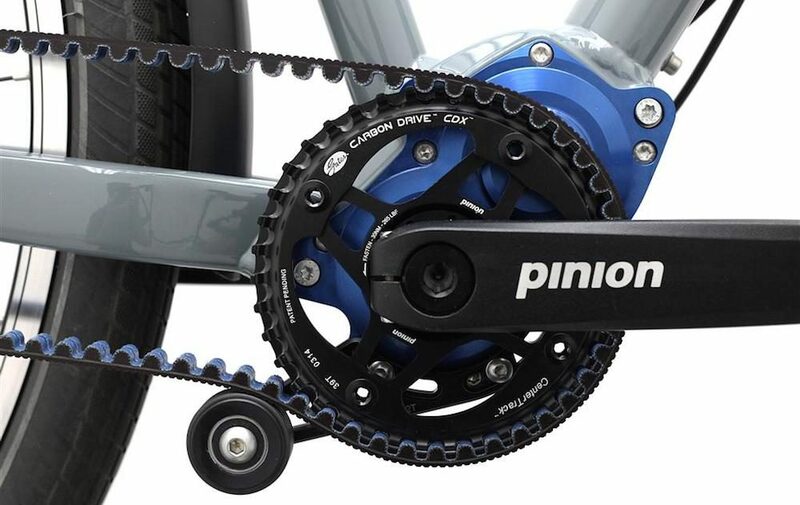 To understand what the go is with Carbon Drive click HERE. The Santos ‘Plus Concept’ will permit two different wheel sizes in the one frame. A big trend in the mountain bike scene is to design bikes so that they can accommodate two different wheel sizes. 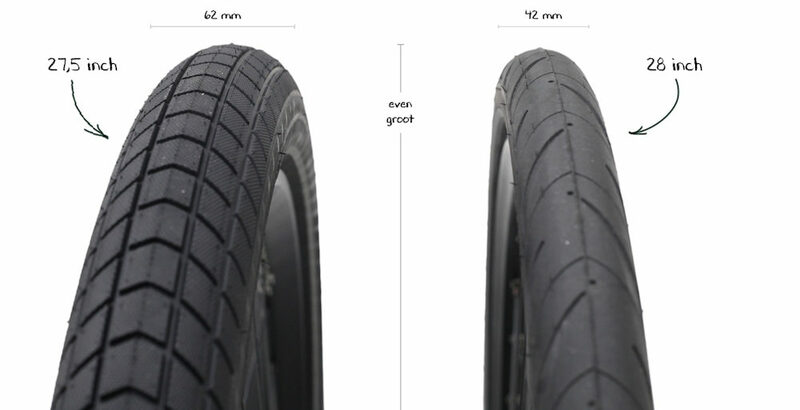 It works because a 27.5″ wheel with a fat tyre can have the same diameter as a 700c with a narrower tyre. 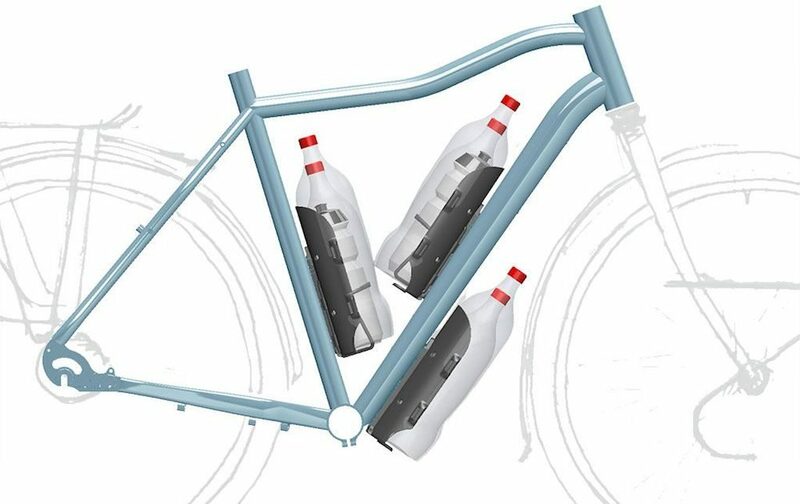 This is good because you can essentially have one bike that is great for multiple uses. 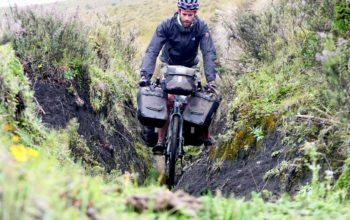 For instance, you could complete sealed road tours with 700x42c slicks, and off-road tours on the same bike with better equipped 27.5×2.5″ tyres. 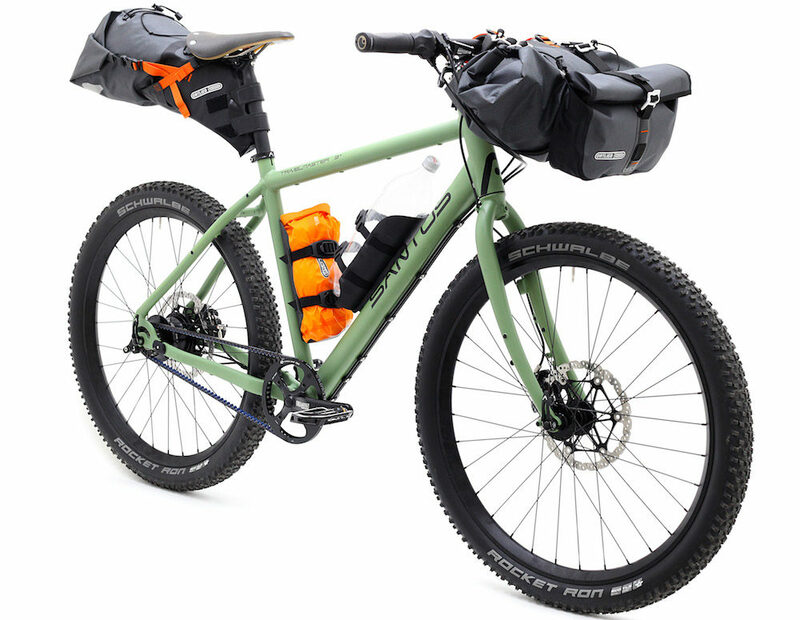 The Santos Travelmaster 3+ is the ideal bike for the wheel rental program. New for this year is a wheel rental program, designed specifically around bikes like the Santos Travelmaster 3+. Buy the bike with the wheels most suitable for the majority of your riding, then rent the other wheels from a local Santos dealer for the times when you need wheels for a different application. For example: if you commute to work every day, you could spec your Santos with a fast and light 700c wheelset. But then when you decide to do a two-week off-road bike tour (what, once a year? ), you could rent the more suitable wheels for this purpose. The price is €99 per month for a set of wheels. It’s €89 per month after that (or €29 per week). To get a fresh set of tyres it’s €49 extra and is generally advised for 3+ month trips. The wheels are insured against damage but not theft. 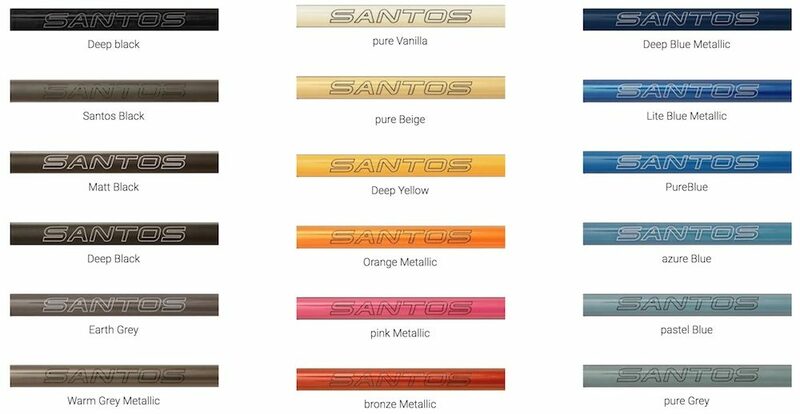 A selection of Santos’ custom colours. In Europe, there is much more of an expectation for bike customisation direct from the manufacturer. Santos are one of the most customisable, allowing you to have free reign over almost everything from colour to specification. You can choose from six hub colours and thirty frame colours. When it comes to specification, it can be anything from a mid-range derailleur gearing right through to an 18 speed Pinion gearbox system. Don’t like disc brakes or Carbon Drive? Don’t get them. The Rohloff Rings wrap around the hub flanges. 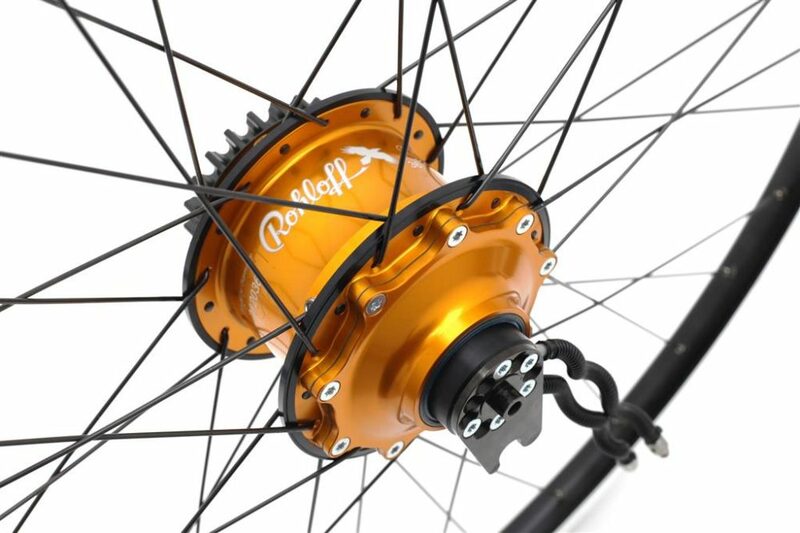 The Rohloff hub is not indestructible, despite what many may have you think. Santos is super keen to minimise any potential damage to your hub flanges, so they fit the OEM Rohloff Flange Rings. These two external support structures keep the hub flanges together should you damage your hub from having uneven spoke tension. Schmidt SL dynamo hub wiring is available on Santos forks. The neatest dynamo hub wiring is via Schmidt’s SL dropout system. 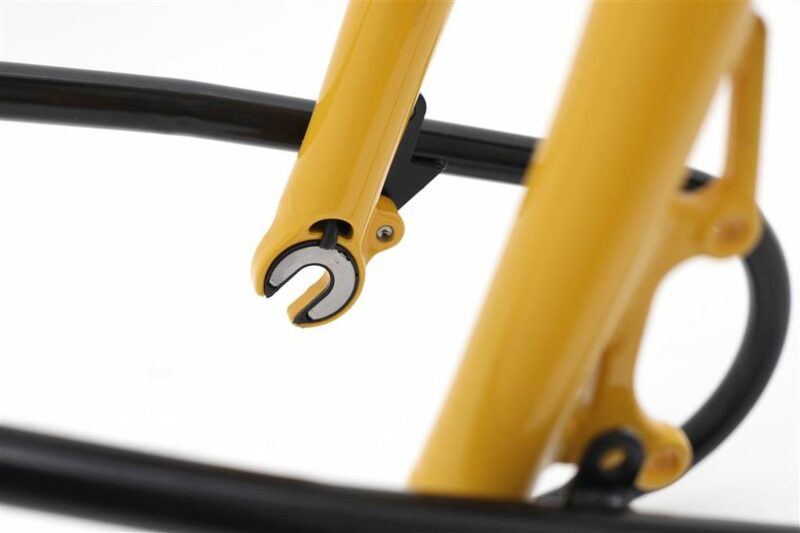 There’s no connecting or disconnecting when you take your wheel out; the hub just transmits the dynamo power into the electrically conducting dropout and sends it up the fork leg. This is normally a feature found only on the most custom of bicycles! The Santos Anti Twist Headset. 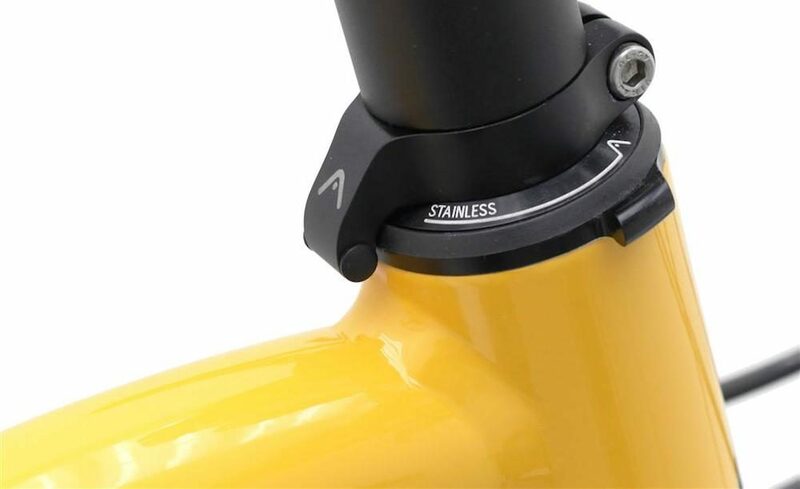 The Santos Anti-Twist headset has been designed to prevent the wheel from turning more than 90 degrees. This is especially handy when you’re carrying a heavy front load and you need to park your bike. Carry six litres of water on the Santos Travelmaster frames. In order to carry large volumes of water or gear, Santos have developed some oversized cages that will permit up to a 2L bottle. 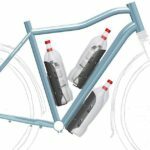 This means that most Santos bike frames can carry up to six litres. That’s gotta be good for some of your adventures. 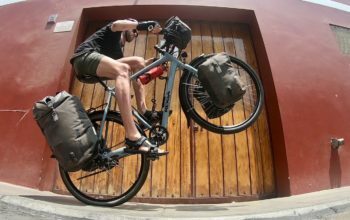 Is Santos The Most Innovative Touring Bike Brand? Santos certainly offer an outstanding level of detail when it comes to their touring bikes. 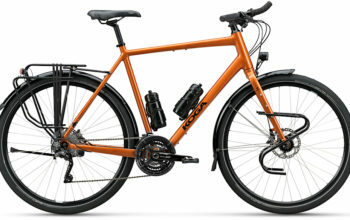 What you’ll get is a super well-designed bike in the colour you want and with the parts that you want. You’ll get to benefit from the unique Santos parts and accessories that have been developed for riders like you. 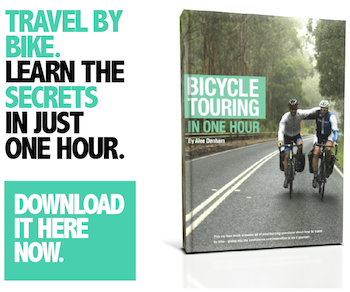 You’ll also get a bike built from scratch in a workshop. The downside to this level of care, customisation, research and design – the high cost. Most Santos Travelmaster models are in the 3000-6000€+ price range, but that said, you can still get a complete Santos Travelmaster in black from €1699 with a mid-range groupset. The wheel rental program is really the icing on the cake. Nobody else is doing it. If you take Santos up on that offer you can optimise your bike to the majority of your needs, then transform it when you need to. Genius.